This research is brought to you by SweetRush’s senior software engineer, Andrew Kubay. For those of us in the e-learning and m-learning space, and especially for those who regularly rely on Adobe products, it is impossible to ignore Adobe Captivate. For the past several years, this tool has been one of the most popular software packages for e-learning development. Most developers traditionally consider Captivate to be the default tool for creating software demonstrations and simulations within e-learning, but not an end-all, be-all for all types of learning. It’s worth taking a deeper look at the additional functionality we find in Captivate 7. In this article we dig deeper into the capabilities of Adobe Captivate 7 as we help you evaluate e-learning tools for your own use by answering some questions about e-learning authorware. 1. What types of products can be created using Adobe Captivate 7? Captivate is quite capable of handling standard static and interactive training modules, as well as more ambitious custom projects with complex interactions and gamification elements. In Captivate, you can create both demonstrations and simulations of software systems, author materials for soft skills training, and import existing PowerPoint® presentations. Using Captivate, developers can convert PowerPoint files into more advanced web-ready digital formats with added interactive and tracking functionality. Developers can also take advantage of an extensive library of pre-made interactions and templates. The final products can be published to PCs and to mobile devices. 2. How easy is it to start working with Captivate 7? 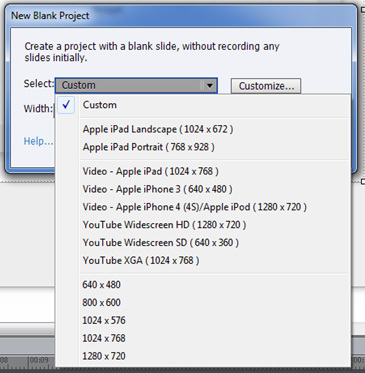 A list of pre-set template dimensions, ready to use and adapted for standard PC and mobile screens. 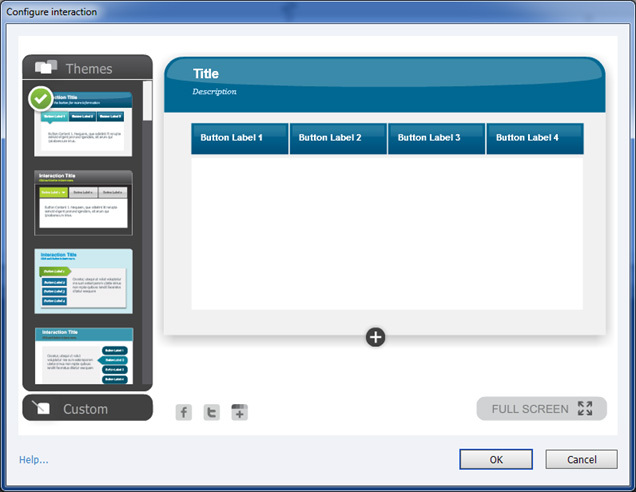 Captivate 7 includes a number of pre-set template dimensions. An extensive collection of ready-to-use graphic themes, each with templates for different page layouts. Users can use the themes as is, modify them, or create their own custom sets. Captivate 7 includes a collection of ready-to-use graphic themes. Each theme includes templates for different page layouts. Standard and custom buttons, as well as other interactive graphical user interface elements. A library of customizable interactivities, currently including 26 different types, which are all editable using the built-in Visual Editor. 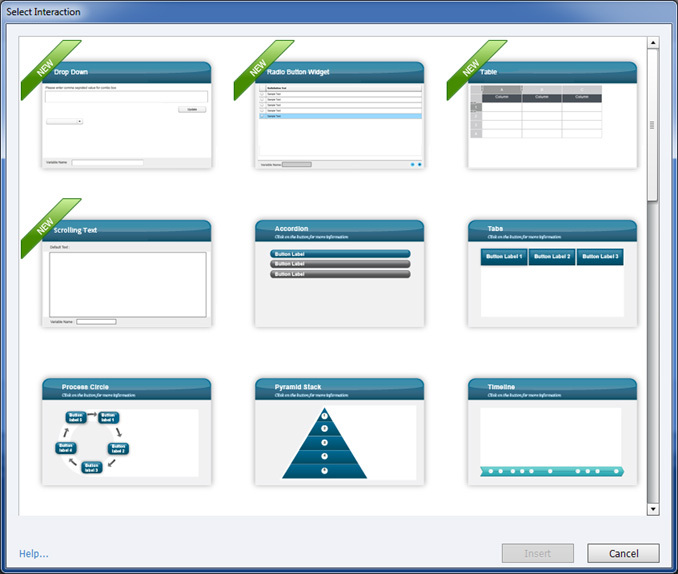 Captivate 7 includes a library of customizable interactivities. A library of photo characters, each with a variety of different poses and facial expressions (but unfortunately, not animated). 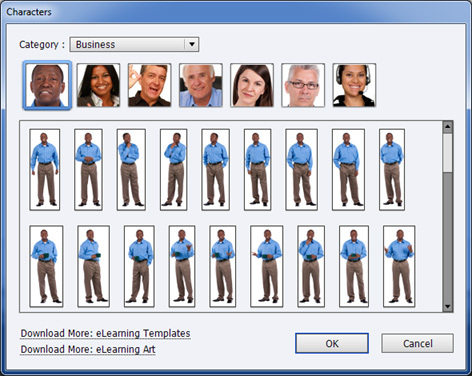 A library of photo characters with a variety of poses is included. 3. Is Captivate 7 suited for game-based learning? Yes. However, developers should understand that Adobe Captivate 7 is an authoring environment that, although fairly flexible, has a very specific functionality. It cannot compete with Adobe Flash or other platforms based on programming languages. Captivate will certainly provide more than enough for most training needs in our industry — it can branch, skip slides, dynamically change the screen content, handle variables, communicate with LMS, and so on. But at the same time, when it comes to the template interactions, developers are limited to what the pre-built library has to offer with the ability to modify the content, not the behavior. Animations are treated similarly — while the support for basic animation does exist, developers will not be able to create complex animations (for example, syncing illustrated avatars to audio). 4. Does Captivate 7 accommodate branching scenarios? Support for branching has existed within Captivate since its early versions, but the visual execution of this feature has always made me long for more. You can create branches or skip over slides, but the branching tree created in the Branching View window becomes increasingly more difficult to work with as the number of slides grows. Captivate 7 accommodates branching scenarios. The visual display has room for improvement. 5. Does Captivate 7 support custom programming? Captivate 7 is a rapid development tool, so it’s never going to compare to something like ActionScript® when it comes to custom programming. At the same time, you should not discount its ability to create non-standard logic using the Visual Editor. Developers who understand the basics of programming can visually create variables and IF conditions. For example, at the end of a knowledge check or an assessment test, you could show a congratulatory message if the learner passed the test, or offer the learner the opportunity to re-take the test. Similarly, Captivate has the ability to use the information stored within the learning management system (LMS); for example, the program can greet the user by his or her name, which is stored as a part of the user’s profile in the LMS. 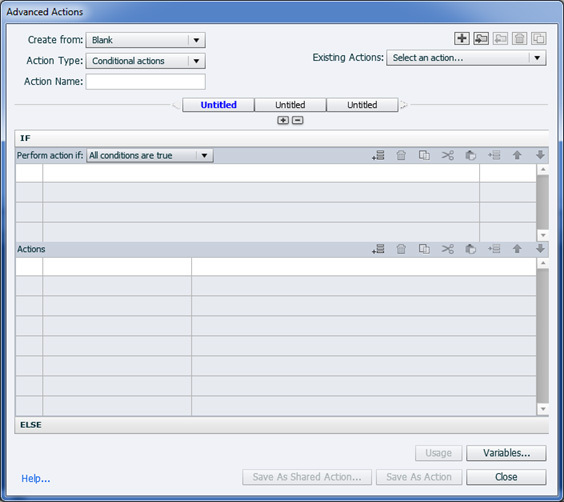 The Advanced Actions window allows users to create some types of custom programming. 6. What can be done with Captivate 7’s pre-built interactions? Captivate 7 offers a library of 26 pre-built, editable interactions, including drop-down lists, rotating text, tabbed click-to-reveals, an interactive timeline, a glossary, and even clever puzzles. Using the Visual Editor, developers will be able to modify colors, fonts, size and number of interactive elements, and—of course—the content. Not all interactions will behave flawlessly, so each interaction should be the subject of extensive testing, especially if developers are using non-standard content elements (excessive text, special characters, etc.). Captivate 7 includes a library of 26 pre-built, editable interactions. 7. How is the multimedia support organized within Captivate 7? We give Captivate 7 a big thumbs-up on its video and audio support. Captivate provides its own set of multimedia editors, allowing on-the-spot audio recording and editing, as well as video import and basic editing. Make no mistake—these are not professional tools, and they should not be used as the primary editing suite for video or audio. Instead, these are convenient tools that will allow developers to quickly address common issues such as combining several audio clips into one, or cutting out an unwanted section of an audio file—all without prior extensive experience. 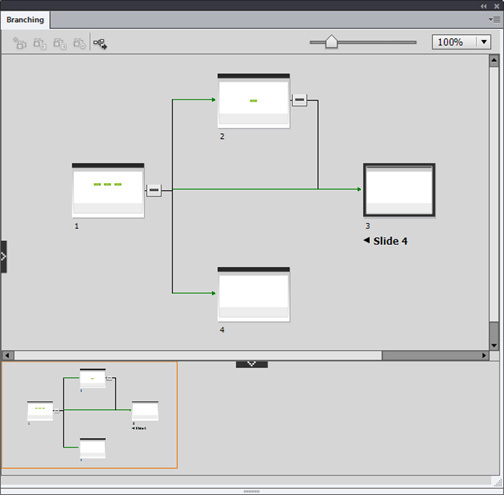 Audio tools within Captivate 7 are great convenience tools. The ability to create demonstrations and simulations is certainly the strongest and the best-known feature of Captivate. Software simulations are what Captivate was initially created for, and support for this impressive set of features is as strong as ever. Much has already been said and written on this subject, so here I will just mention that all recordings are converted into editable objects that can be manipulated in post-production (for example, masking the sensitive information or swapping the recorded screenshots with updated ones), and developers also have the ability to add captions, instructions, additional pop-ups, etc. All this can be published to Flash® or to HTML5, ready for mobile use. 9. Favorite question of the decade: How is the m-learning support for iOS® and Android®? Same as in all other tools—questionable, but progressing. There is definitely room for improvement, but in this aspect, Captivate is on par with most other e-learning/m-learning authoring environments. The good news here is that Captivate authors are trying very hard to support both iOS and Android platforms equally. Also, if you limit yourself to the standard core functionality of Captivate, most standard interactions, as well as the software demos, will convert to HTML5 without much of a problem. 10. Any issues with standard LMS protocols? No problems here. Adobe Captivate 7 offers support for all common standards such as SCORM 2004, SCORM 1.2, AICC, and the latest newcomer, Tin Can. There is also an additional layer of support for a few well-known LMS systems, such as Moodle™ and Adobe® Connect™. 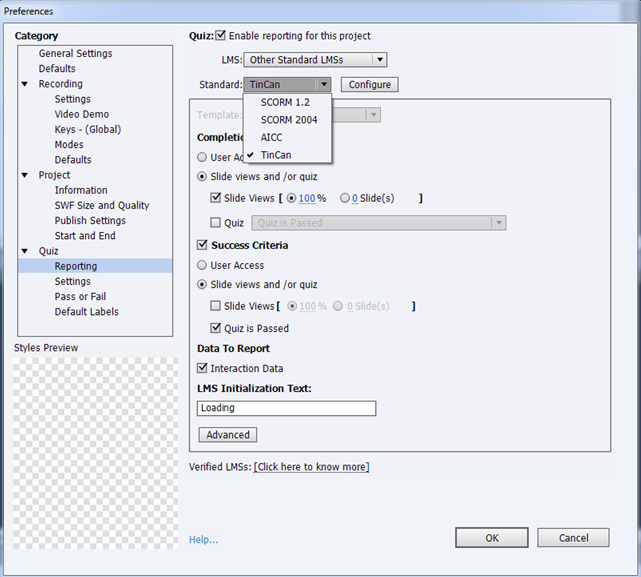 Captivate 7 offers support for all standard LMS protocols. Adobe Captivate 7 is a powerful and flexible e-learning authoring tool with a long history, well-established reputation, and strong support for all current standards. The library of ready-to-use interactivities, templates, and graphic themes allows for a quick ramp-up and a convenient workflow. 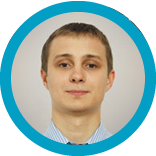 Developers will enjoy stable performance with most of the components of the package, and they should easily be able to find their own workarounds for components that perform less than ideally. The HTML5 conversion is yet to fully mature, which is true not just for Captivate, but for most of its competitors. At the same time, it is great to see the commitment to support not just iOS, but also the Android platform. Comparing the top e-learning tools, the interface organization and the workflow of Captivate 7 make it lose a slight edge to its main competitor, Articulate Storyline®. At the same time, Captivate continues to remain at the very top of the heap when it comes to development of demonstrations and simulations for systems training. Below is a SweetRush grading chart for Captivate 7’s functionality. Can you please compare with Lectora and Articulate? Other comparisons may yet to come!